Lehman "Dar" Dowdy, age 72, of Perimeter Road, Steamburg, New York died early Sunday morning, July 17, 2011 at WCA Hospital, Jamestown, New York following a long illness. Born July 28, 1938 in Steamburg, New York he was the son of the late Lindsey and Lorenza Logan Dowdy. He was married on March 21, 1997 in Steamburg, New York to the former Sandy Jimerson who survives. He was a veteran of the United States Navy serving for 20 years. He retired as an Engineman 1st Class in 1979. He was awarded the National Defense Medal and the Good Conduct Medal. Dar was an enrolled member of the Seneca Nation of Indians and the Turtle Clan. He will be missed by his family, friends and students. He spent his life teaching. He was employed with the Seneca Nation in their Education and Language Department for over 25 years. He was a Speaker of the Coldspring Longhouse and was instrumental in the formation and construction of the Faithkeepers School in Steamburg, New York where he taught for over 15 years. 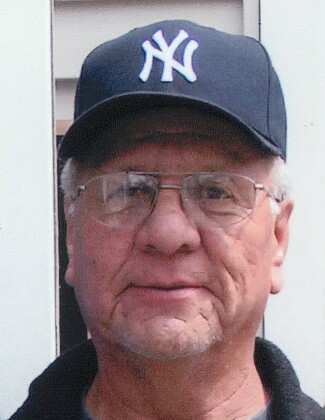 Dar was an avid baseball fan who enjoyed the New York Yankees and the Cleveland Indians. In his youth he played softball. Surviving besides his wife are: 3 daughters, Kristine Dowdy, Kelly (Christopher) Bomberry, both of Salamanca, New York, Kimberly Dowdy, Steamburg, New York; 2 sons, Kory Dowdy, Kerwin Dowdy, both of Salamanca, New York; 25 grandchildren; 29 great grandchildren; 2 sisters, Vivian Printup, Salamanca, New York, Corrine Redeye, Steamburg, New York; several nieces and nephews. He was predeceased by a son, Kyle L. Dowdy Sr., 4 sisters, Matilda Dowdy, Lavina Dowdy, Mamie Jones, Reva Jacobs, 2 brothers, Herbert Dowdy Sr., and Lindsey Dowdy Jr.
Friends may call at the Faithkeepers School on West Perimeter Road, Steamburg, New York beginning late Monday morning and all day Tuesday. Funeral services will be held on Wednesday morning, July 20, 2011 beginning at 9 A.M. in the Faithkeepers School followed by services at 10 A.M. in the Coldspring Longhouse with Clayton Logan as Speaker.